After much thought and consideration, we decided to purchase the small house that is located in the lot next to our own home. 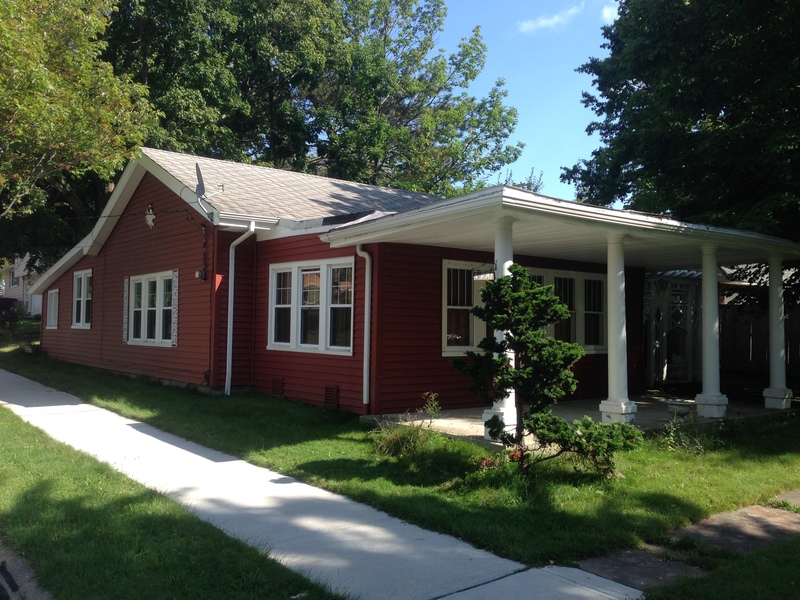 It’s only a 1-bedroom, 1-bathroom bungalow/cottage, but the sell price was such that we have a decent budget to put some money into it…and maybe add some square footage to increase the value. We’re giving ourselves 6 months to make the necessary renovations to rent it out. Over the next 3 years, we plan on making upgrades throughout, as our budget allows. The inside layout is charming and there is plenty of space for entertaining. It sits on a 50’W x 200’L lot and it’s nestled back a bit, so the front yard is quite large. It’s a cute cottage, but it needs some work. For starters, we have to replace the roof. Like the entire thing. The front porch slants backwards towards the house, which has caused some water damage along the 3 front windows on the side. Aside from that, it’s mostly cosmetic upgrades. Most projects we plan on tackling ourselves. If we go with Option 2, we would be increasing our long-term value (for re-sale) but we’d have to delay renting until we could budget in the repairs for inside (new appliances, etc.). It’s a good option since we have to do the entire roof anyways, it’s like, “now or never” kind of thinking, but at the same time it’s a challenge since we’re trying to keep the same overall look of the cottage. If we go with Option 1, we wouldn’t be able to add any square footage or extra bedrooms so, our resale value wouldn’t increase by much. Would love to hear your feedback on what you think we should do? Here are some photos of the interior space. The back story on this house is that it was originally a garage and it was converted to a home about 20 years ago. 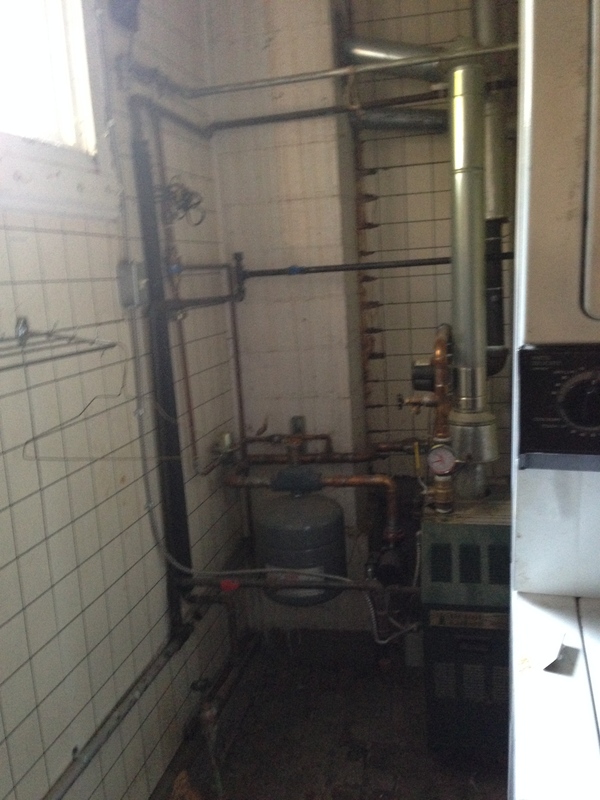 Because of this, there is little to no insulation and the electrical might need some servicing. Otherwise, it’s a very charming layout and has some potential. I welcome any advice and suggestions! The back porch was an addition and it was built on top of a wood frame. There is no concrete foundation. I’m surprised it’s lasted this long. The floor and ceiling are completely rotted. 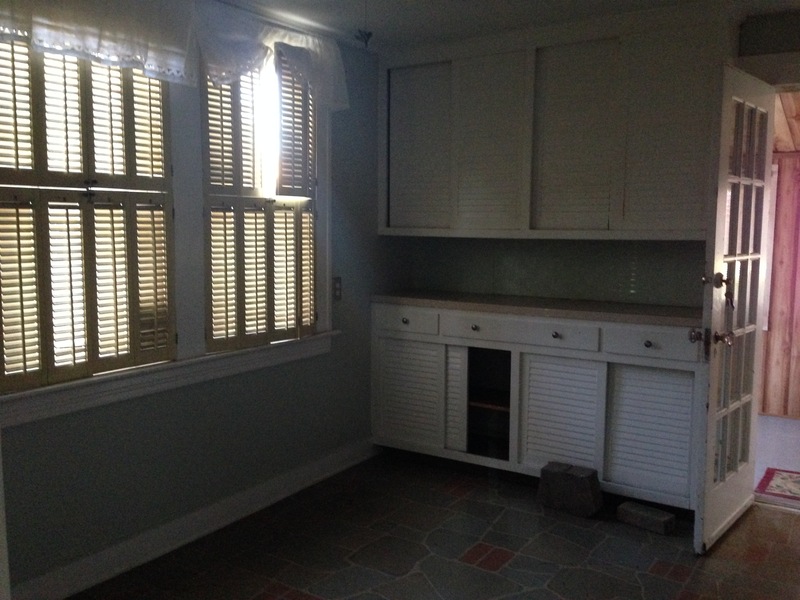 This is the “dining area”, which has some counter space/storage along the back wall. 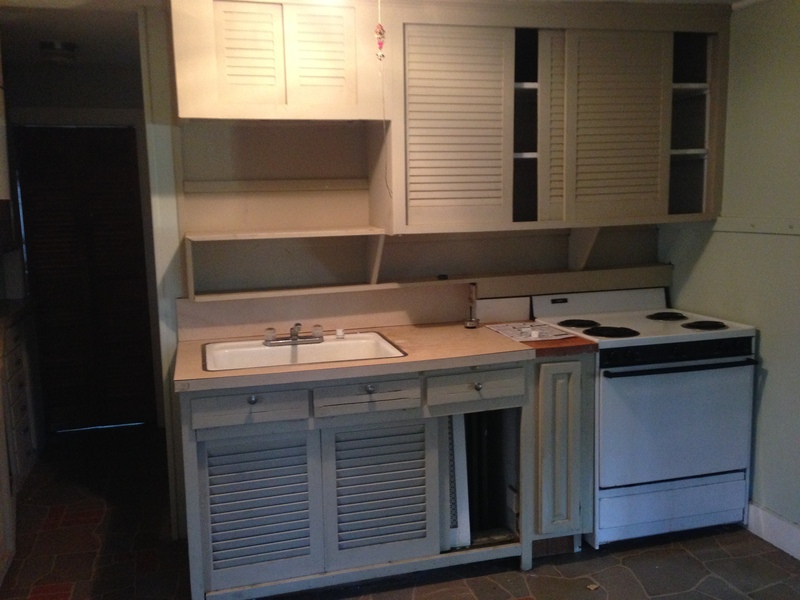 We’ll add more cabinetry here and probably a new refrigerator. 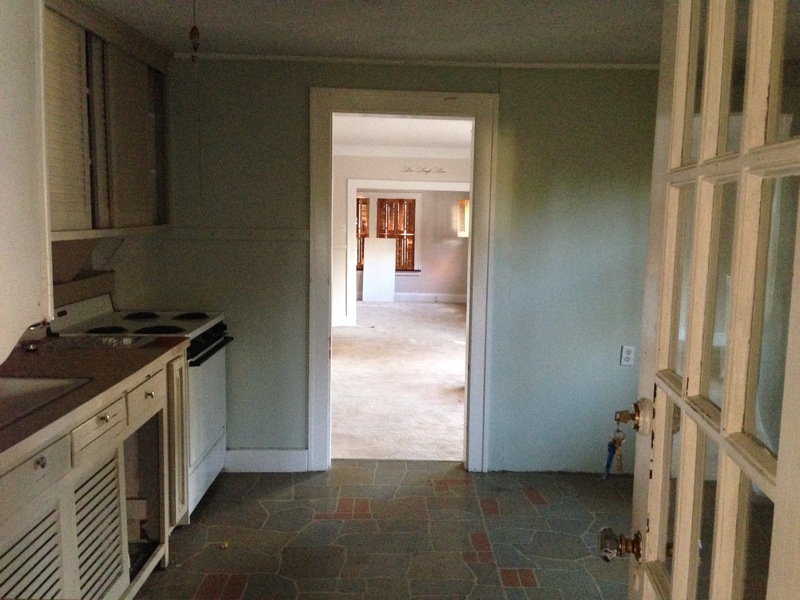 This hallway leads to the laundry room area, which was the old/original entryway to the home. 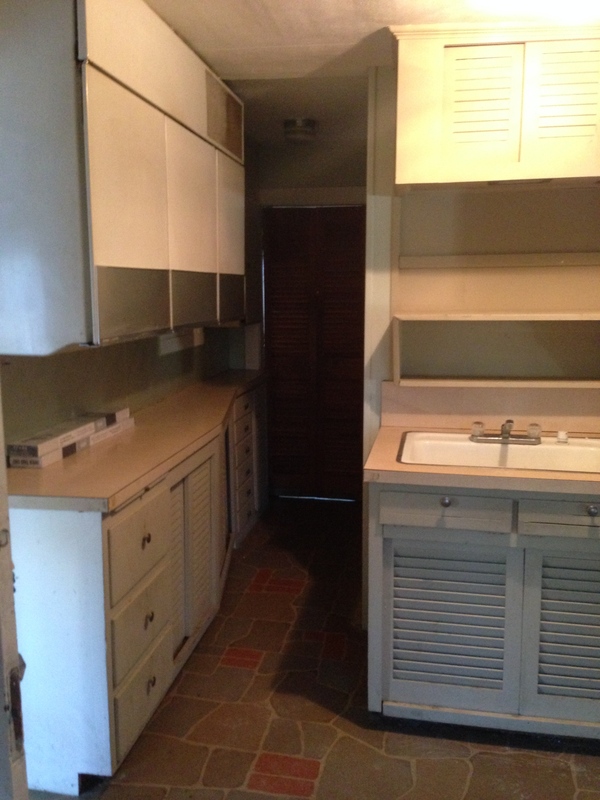 The refrigerator is on the top left- it’s built in to the wall and looks like cabinetry. It still works, but we plan to sell it. 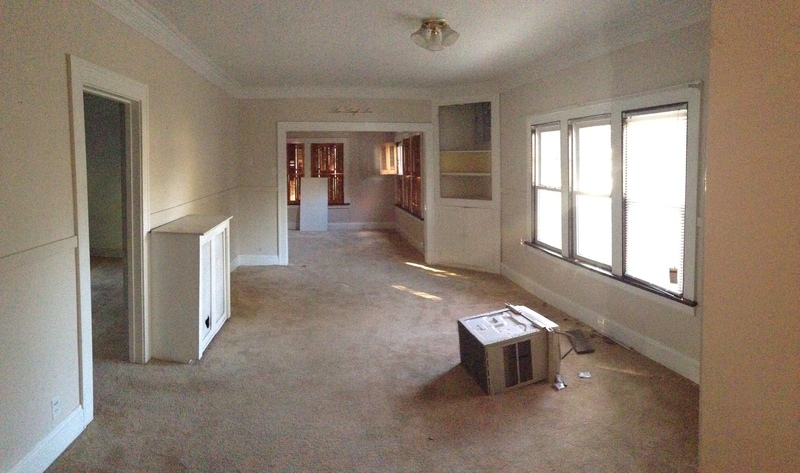 This is the view from the back door…showing through the kitchen and to the other living areas. This is the room right off the kitchen. It was previously being used as a dining room, but It’s pretty big. 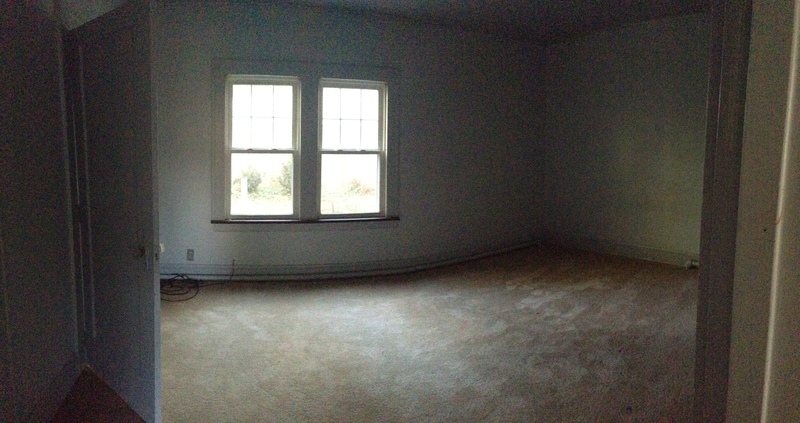 I think we can use some of this space to expand the kitchen or living room. The ONLY bedroom is situated off the Dining Room (to the left) and it’s a fairly good size with a large closet (the door shown in the photo above). It is connected to the bathroom through a small hallway to the left of the closet. 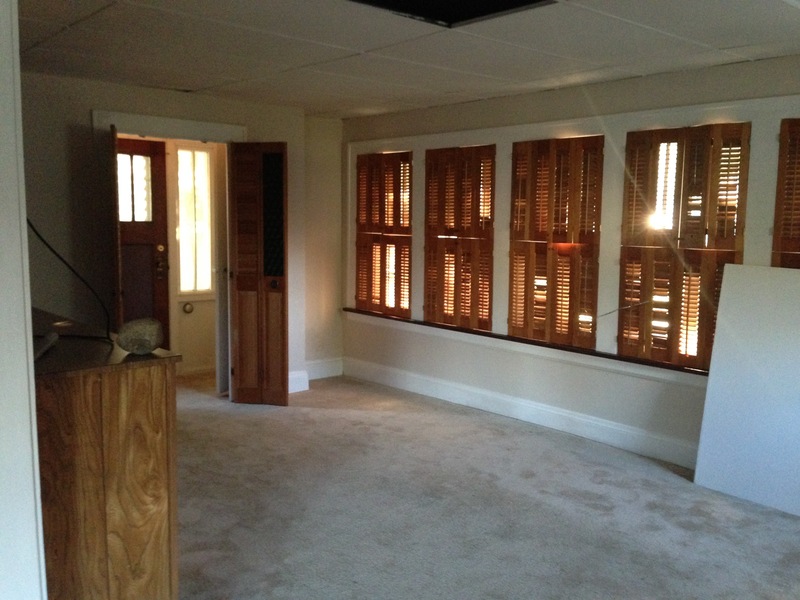 The living area has some great windows that let in a ton of natural light. The ceiling is the typical basement-type ceiling…panels that lay on top of a wire frame. And no insulation. 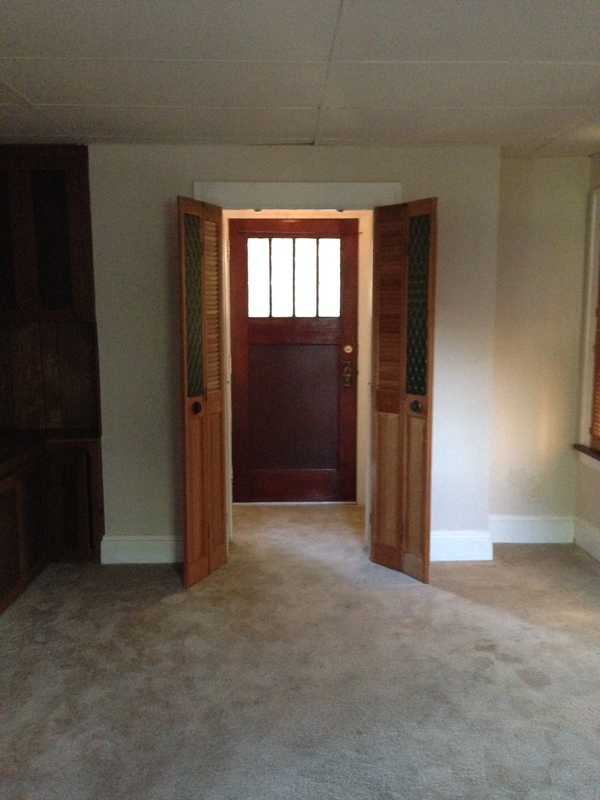 This is the “Front” door that enters through the Living Room. 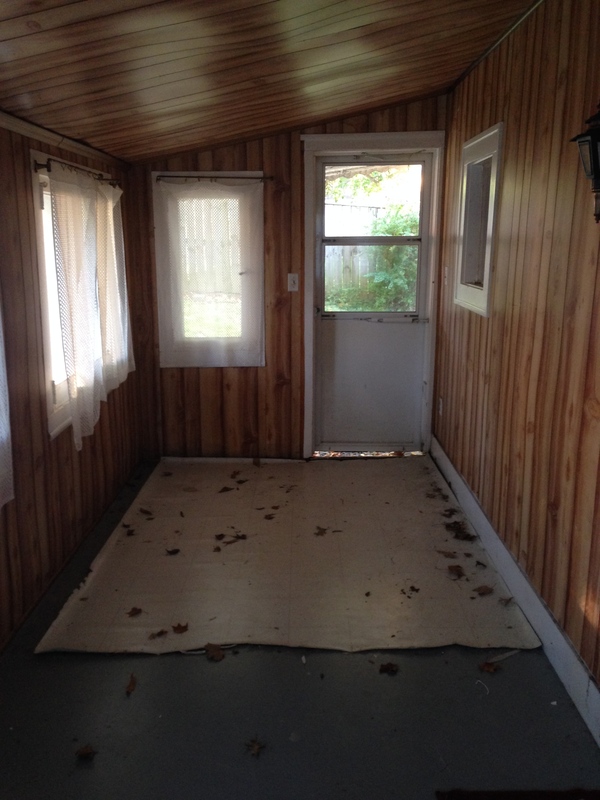 It’s in good condition and there are small closets on either side of the door so it’s an adorable entry area. 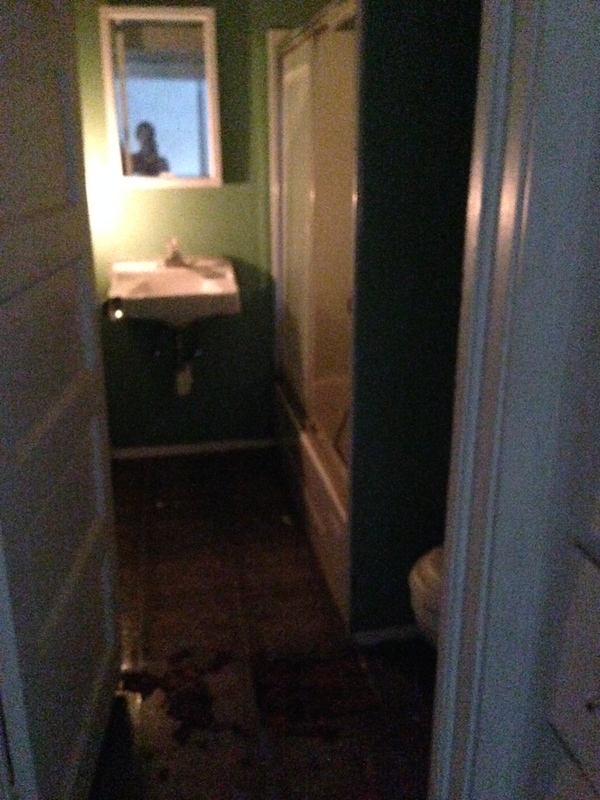 I can’t really get a good photo of the bathroom because the lights don’t work. I don’t know if you can tell, but the flooring is completely destroyed. We’ll need a complete overhaul in this space. This is the laundry area (located off the kitchen). There is a washer/dryer but we don’t think it works. Otherwise, it’s a good size space and has some potential. 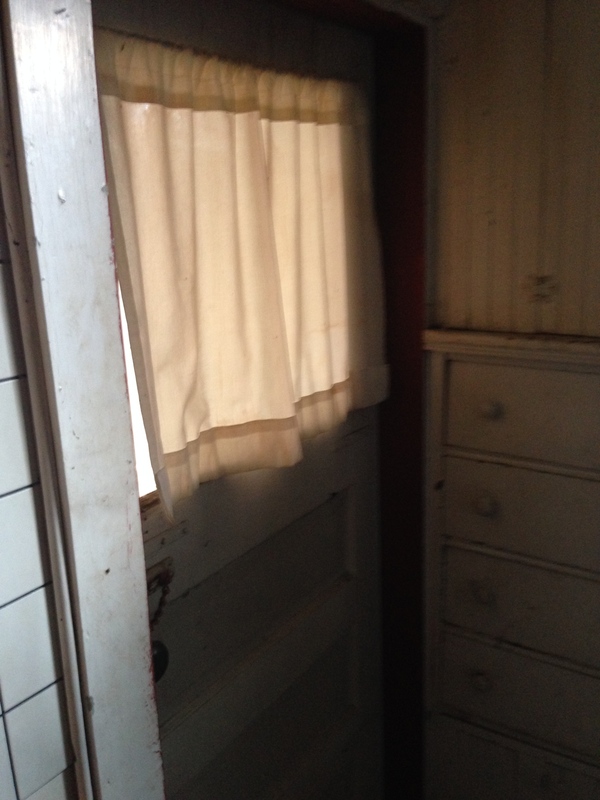 This is the original “Back Door” that is located to the left of the laundry area- it doesn’t actually open, but since we’re removing the back porch, we’ll get it functioning again. There are adorable built-in shelves to the right.